Ozil’s contract situation at the Emirates has been highly documented over the past year, along with Alexis Sanchez. Both players’ deals run out at the end of the season and are able to enter pre-contract negotiations with new clubs in January. Sanchez will reportedly see out the remainder of his contract with Manchester City favourites to make a move after having a bid rejected at the end of the transfer window. 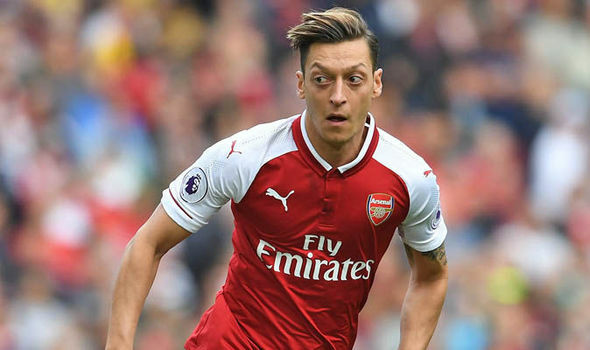 It is a little less clear over Ozil’s plans for the future, but reports in Germany this week claimed talks over a new deal have stalled since February. It was claimed the Germany international is prepared to walk away from Arsenal after four years at the club. But Wenger denied the length of time since contract negotiations were discussed with Ozil and is optimistic a compromise will be met. “Yes, of course (I am hopeful),” Wenger said. “The contract talks have slowed down a little bit since August 31, because we need a little breather and to focus on the competition. Arsenal get their Europa League campaign underway this evening when they host Cologne (8.05pm).